The UK gaming industry took centre stage recently as CHIPS presented the 500th powered wheelchair thanks to donations made by a wide range of organisations from across the sector including Beacon Bingo, Cashino, Clarion Gaming, NRM and The Rank Group. In a presentation at London’s Reform Club, Strictly Come Dancing star Anton du Beke took time out of a busy schedule to present the 500th powered wheelchair to 10-year old Abbi Bennett who lives with Ulrich’s Muscular Dystrophy which affects her lower limbs and severely limits her mobility. Abbi, who travelled to London from her home in Bournville, Birmingham is the latest recipient to benefit from CHIPS’ fundraising which totals over £2m, a figure that has allowed it to purchase the bespoke powered wheelchairs that the NHS cannot provide and that the parents cannot afford. 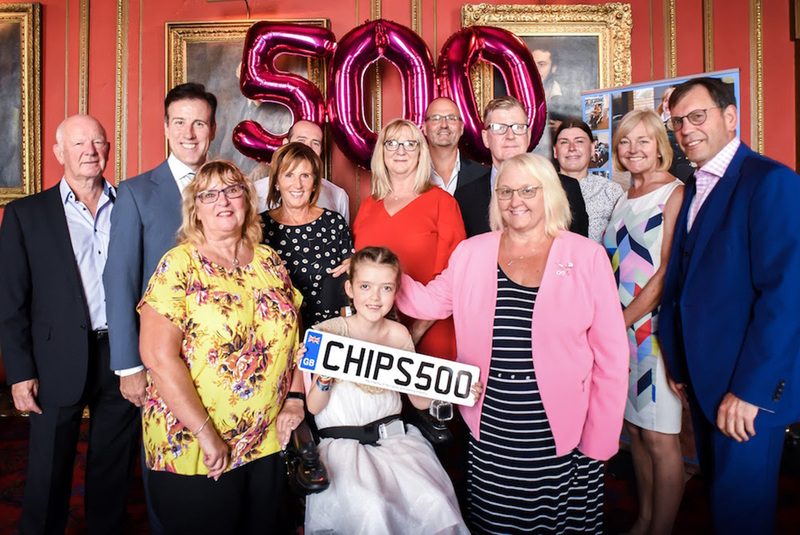 Commenting on the 500th presentation, CHIPS’ co-founder Linda Lindsay, said: “We’re delighted to have achieved this incredible milestone and in doing so provide Abbi with the gift of freedom which so many of us take for granted. This wheelchair, which cost £7,000, will provide her with the freedom to move around easily and safely and includes a state-of-the-art hi/lo facility allowing her to talk to her friends and family face-to-face rather than always on a lower level. We could not have reached this milestone figure without the amazing generosity of the UK industry. We are very grateful and sincerely hope that this will continue, so that we can help more wonderful and deserving youngsters like Abbi.